Drought has moved to the top of the list in the latest survey of Californians' environmental worries. In a statewide poll conducted during the second week of July, more than a third of respondents (35 percent) cited water supply and drought as "the most important environmental issue facing California today." That more than doubled the second most popular response, which was air pollution. 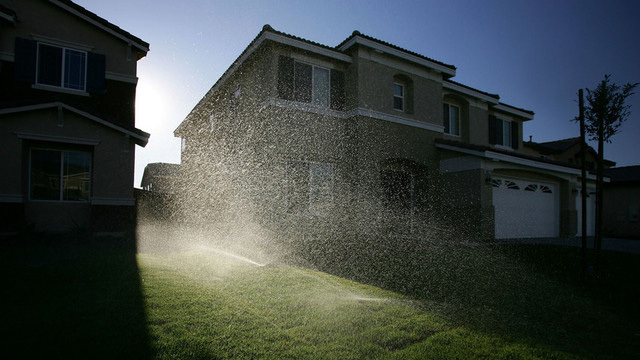 It's the first time since the annual survey was launched in 2000 that Californians have cited water supply as their top concern, according to Mark Baldassare at the Public Policy Institute of California, which conducts the annual "Californians and Their Environment" poll. Even when asked the question in the drought year of 2009, only 18 percent pinpointed water supply as their biggest concern. No other environmental concern, such as climate change, water pollution or traffic even cracked double digits in the latest survey. Only 2 percent cited fracking -- or hydraulic fracturing -- to recover oil and gas as their top concern. More than half the respondents (54 percent) said they considered water supply to be a "big problem" in their part of the state. About one in four considered it "somewhat of a problem." And most indicated at least some willingness to do their part in conserving water. An impressive 3 out of 4 in the PPIC survey favored "mandatory" requirements to reduce water use. Only 23 percent were opposed to the idea, though many urban water agencies have been slow to put mandatory conservation in place. "Because they favor mandatory reductions doesn't mean it won't be controversial when they're asked to do so," said Baldassare, who heads the annual survey. "But people recognize that we're in a serious situation today and something's gotta give." All this fretting about the drought may be driving support for a big water bond that may appear on November's ballot. More than half of self-described likely voters (51 percent) said they would vote today for $11.1 billion of borrowing to fund projects to make the state more drought-resilient, such as new reservoirs. The poll found even stronger support "if it was a lower amount." Indications are that if the water bond makes it to the the statewide ballot, it will likely be valued at something less than $10 billion. Governor Jerry Brown has said he'd like to keep it down to something in the $6 billion range. When asked about potential impacts from the changing climate, drought once again floated to the top of people's worry list. Sixty-four percent said they were "very concerned." Respondents showed considerably more concern for extended droughts and more severe wildfires as a consequence of climate change, than they did for other projected impacts such as heat waves (44 percent "very concerned") and rising seas (32 percent). But when asked to cite the main reason for the state's current drought, only 38 percent pinned it on global warming. More than half (51 percent) said they thought it was more the result of "natural weather patterns," an indication that many still see the direct impacts of climate change as a problem for the future. The PPIC poll has a margin of error of plus-or-minus 3.7 percent.